Living a healthy lifestyle can feel like a lot of work! Even with exercise and an attempt to eat the right foods in the right amounts, it’s difficult to know you’re getting the perfect balance of nutrients in your diet—especially since needs vary by person and can change over time. Vegans and vegetarians may struggle even more to get certain essential substances from a solely plant-based diet. And since so many people are already balancing stressful lives and demanding schedules, making sure you’re getting what you need to stay at optimal health might not be the first item on your to-do list. 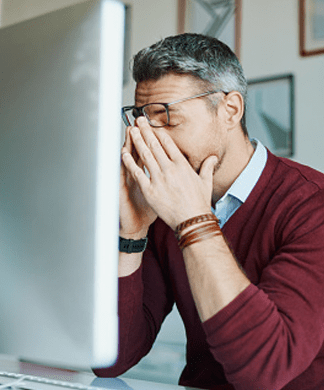 If you’re dealing with constant fatigue, headaches, “brain fog,” dry or tired-looking skin, dehydration, or frequent illness, you’ve probably already searched for ways to improve these symptoms. Many people take vitamins to remedy the effects of poor nutrition and stress, but oral vitamins can cause digestive upset and don’t always get absorbed well by the body. Always getting the right balance of nutrients from eating an ideal variety of freshly made, perfectly-portioned foods isn’t very realistic for most (unless you happen to have a nutritionist and chef in residence). If the process of maintaining your wellness through nutrition has your head spinning, relax. There’s another way to support your body’s essential functions—and it involves sitting comfortably as you receive a 4Ever Young IV Vitamin Infusion. Nutrient deficiency can lead to serious problems, and even a mild lack of key nutrients can mean a decreased overall feeling of wellness. The body can only absorb 5-20% of oral vitamins, but intravenous vitamins bypass the digestive tract and are absorbed by the body 100%. A 4Ever Young IV Vitamin Infusion is the fast lane to wellness support. And since we only use hospital-grade substances when administering our IVs, you can be confident that your treatment will be both potent and safe. The “fountain of youth” formula that’s taking the country by storm. NAD promotes cell regeneration to help cognitive functions. NAD IV treatments help offset the gradual decline in NAD levels that come with age. IV delivery makes NAD available to your cells for immediate use. NAD treatments last from 4 to 14 days depending on the individual. Our special blend of wellness and immune-supporting vitamins, minerals, and antioxidants protects your body from external aggressors. Whether you’ve got a sick family member, are planning on traveling, or simply want to protect yourself from what’s “going around,” 4Ever Shield might be the right choice for you. An active lifestyle can take a lot out of you. If you’ve pushing your body, you may need this strategic nutrient and electrolyte-rich blend to help you flush lactic acid and toxins from the body while supporting peak athletic performance, cardiovascular health, muscle recovery, and hydration. Kick post-workout fatigue to the curb with 4Ever Refuel. If you’re the work hard, play hard type—or you simply had a big night out that’s got you feeling under the weather—consider 4Ever Detoxify. We’ve developed this special cocktail to treat nausea, dehydration, and headaches with essential nutrients, electrolytes, and hydration to help eliminate your hangover and get you back on your feet. Optional nausea and pain reducing substances are optional and can be added to the bag. Speak to one of our medical professionals if you’re interested in this option. A hydrated, well-nourished body means vibrant, glowing skin. If your external appearance has been taking a hit because of stress, poor diet, or a lack of hydration, our 4Ever Glow infusion was designed to help. This combination of essential nutrients coupled with a powerful antioxidant, Glutathione, fights free radicals and helps your skin protect and repair itself. This blend is best for hair, skin, and nail health. Our ultimate IV cocktail combines all key vitamins, nutrients, and amino acids from our other infusions into one treatment. For general wellness support, choose this cover-all-bases blend of essentials. Arginine is an amino acid that plays a vital role in many of the body’s functions, including making other compounds necessary for health. It can be converted to usable sugars, if needed by the body. With its ability to help fight fatigue, increase energy, improve circulation, and stimulate the immune system, it’s truly a versatile substance. The king of immune-supporting vitamins, Ascorbic Acid (Vitamin C) is vital for keeping skin and hair healthy and helps maintain joint health, mental health and clarity, and energy levels. B-Complex vitamins are crucial water-soluble vitamins that work together to keep a range of bodily functions performing optimally. Influencing metabolism, immune health, mood, skin health, and more, B vitamins are a key piece of the nutrition puzzle that can’t be stored by the body. If you’re low on these essential nutrients, you’ll feel it. Our B-Complex formulation contains B-1, B-2, B-3, and B-6 in carefully balanced proportions. is a champion nutrient for skin health, with benefits for hair and nail growth as well. Besides helping the body make amino acids that it needs to live, biotin is also supports metabolic health. To look as good as you feel, this B-vitamin is crucial. Calcium is an essential mineral which keeps bones and teeth strong and is leached from our body as we age. To prevent osteoporosis and keep you fighting fit, optimum calcium levels are key. We use calcium gluconate for our drips, as this calcium compound the most common IV formulation and has a long history of safety. Carnitine is another energy-supporting amino acid, helping cells properly utilize fatty-acids in their metabolism. Research on carnitine has uncovered exciting potential for slowing aging and improving cardiovascular health, and it is often used in supplements targeted towards athletes who want to perform better. Another B-complex standout, Dexpanthenol (a form of B-5) is a major player in skin and hair health. It also supports optimal energy levels and a healthy metabolism, fights skin irritation and allergic reactions, and can combat irritability and anxiety. Glucosamine is a must-have amino sugar that is used to support joint health and help athletes recover from strenuous workouts. It has shown some promise in helping those with arthritis and joint stiffness, as well. Glutamine is an amino acid that your body is partially able to make on its own, but can be affected by exertion or high amounts of stress. It is a key player in healthy metabolism function and is a source of energy for cells, along with sugar (glucose). It assists in wound healing and recovery, so it’s a great addition to an after-workout routine. Glutathione is a peptide that acts like a potent antioxidant in the body, removing toxins and getting rid of free radicals that contribute to inflammation and aging. Glutathione’s properties work wonders in ridding the body of harmful substances, but its benefits also extend to the skin. Glutathione can combat dark spots, hyperpigmentation, and dullness—helping you obtain the glowing skin you’ve been looking for. Hydroxocobalamin (a form of B-12) is another all-star B-vitamin that performs a range of functions in the body. Your body must have B-12 in order to make new proteins, and it helps your body metabolize fat and carbohydrates for energy. B-12 supports mental health and immune function, and can relieve chronic fatigue. Lysine is an amino acid that’s essential to a range of functions in the body, including the absorption and use of calcium, tissue recovery after strenuous exercise, surgery, or injury, building new muscle, and production of a range of substances that the body needs for metabolism and immune function. This key building block of health isn’t made in the body. You have to get Lysine from food or supplementation. Magnesium is an essential mineral that supports mental and heart health and helps the body metabolize carbohydrates properly. It also is a key part of the body’s electrolyte balance. Niacinimide is the preferred method of supplementing the essential nutrient niacin (B-3) in the human body. A deficiency of niacin causes pellagra, a distressing illness characterized by skin problems and impacts to mental health. Niacin supports heart health, skin health, optimal energy levels, and an efficient metabolism. Ornithine is an amino acid that forms a crucial part of the “urea cycle,” which helps the body get rid of its excess nitrogen and stay in balance. It’s role in metabolism and potential wound-healing and hormone-supporting functions have made it a fixture of workout-enhancing supplements and recovery products. Potassium is a mineral that functions as an electrolyte in the body, keeping hydration levels balanced and supporting the heart, brain, muscles, and digestive tract. Without enough potassium, energy levels, heart health, mental clarity, and mood will take a hit. Pyridoxine (a form of B-6) is a little-known but truly essential B-vitamin that contributes to healthy brain development and protects mental and immune health. B-6 is a crucial part of cell metabolism and is used by your body to make substances it needs to survive. Selenium is an essential mineral with two crucial functions. On the one hand, it acts like an antioxidant in the body, protecting cells from free radicals, reducing inflammation, and potentially even fighting against infection. It also plays a role in our body’s hormone production process, which influences energy levels and reproductive health. Taurine is a sulfonic amino acid that supports heart health, eye health, joint and muscle health, and mental clarity. Your body uses taurine to build new muscle, repair itself, control fat metabolism. It even behaves like an antioxidant and helps to remove toxins from the body. Thiamine (B-1) is one of the B-complex superstars, providing support for heart health, digestive health, immune function, mood and mental clarity, and vision. Deficiency of this crucial vitamin causes a condition caused beri-beri, which can be life threatening. Zinc is another essential mineral with a variety of functions. It’s a cornerstone of cellular metabolism, supporting the body as it protects itself from illness, heals wounds, creates proteins, and creates new cells. Your body can’t store Zinc and it can be hard to obtain through diet, so supplementation can help. Every patient is different. IV vitamin infusions can benefit a wide range of people, but a targeted approach to your unique needs and concerns will help us create a treatment regimen designed to maximize the benefits of therapy. We’ll be with you every step of the way as you work towards enhancing your vitality. Are there any side effects during the IV infusion process? We don’t usually see any side effects in our patients, but sometimes people will experience a cool feeling in the arm and a mineral taste in the mouth. This is all normal, and not a cause for worry. There is a slight risk of allergic reaction with all administered substances, but we carefully monitor for such reactions and will discontinue treatment immediately to keep our patients safe. How often can I come in for an IV vitamin infusion? Realistically, most people don’t put demands on their body that would necessitate daily IV treatment. Our most frequent visitors come in for a weekly or bi-weekly infusion, but we’ll tailor a therapy to suit your body’s demands. How soon will I feel the effects of therapy? Depending on your levels of nutrition and hydration, you may feel dramatic effects within 24 hours of your first IV vitamin infusion. People who get regular IVs will feel less dramatic effects as their bodies starts to approach a more optimal hydration and nutritional balance. Is the IV vitamin infusion process painful? Most people find the IV drip process painless. For those who anticipate discomfort, we have ways of making the process easy and comfortable. Bruising, although not terribly common, does occasionally happen during treatment. Patients who experience bruising will recover in a short time (from hours to several days) without any assistance. Will IV vitamin therapy react with my medication? There are very few medications that interact our IV therapy. We conduct a comprehensive medical history in order to verify that you aren’t on any medications that could potentially interact with the substances in the IV. How long does an IV vitamin infusion take? Our nutrient IVs take approximately 30-90 minutes for the drip to be fully administered. Our patients find our IV lounge to be very relaxing, especially since they have the option to recline in comfortable, oversized reclining chairs. Don’t wait to feel your best. Schedule a free consultation with one of our experts today.